Before a little over a century humanity was shaken by the First World War. English and Germans were permanently lined along the trenches, in a fight to the bitter end. Everybody had their finger on the trigger, in a brutal war that had left behind millions of innocent dead. The soldiers were both bullies and victims. Even in the holy days of Christmas they stood in battle positions. Above all, however, they were people with sensitivities. So, one cold winter of 1914, when the snow had covered the entire Western Front, came a Christmas … “miracle”. The soldiers decided to make their own armistice from war, disobeying the orders of their superiors. With football having a lead role in this event. It all started the night of Christmas Eve. Through the trench lines where the Germans were pitched, the British suddenly heard the sound of… “Silent Night” Christmas song and saw candles light up and a small Christmas trees. The British were boggled! They do not shoot and almost immediately begun in turn to sing. 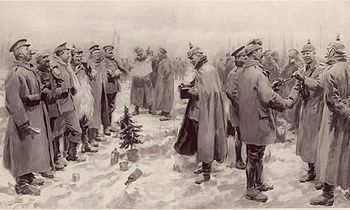 In a short time, British and Germans sing carols together, and many of them make their way into the buffer zone and exchange festive greetings. The spirit of Christmas had made its appearance in the trenches. The truce, albeit briefly, was a fact. 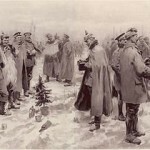 The soldiers, British and Germans, had forgetten what separates them and begun to exchange gifts. Cigarettes, food, sweets, drinks, souvenirs where all exchanged. People, who had long forgotten the meaning of family, saw in the eyes of their enemies, their own people. The biggest surprise however followed on Christmas Day. 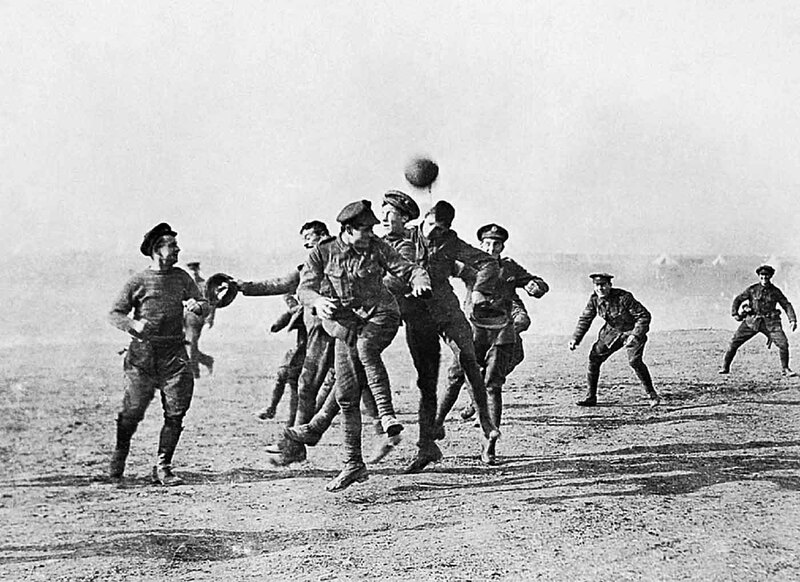 The two sides arrange to play a friendly match on 25 December 1914. 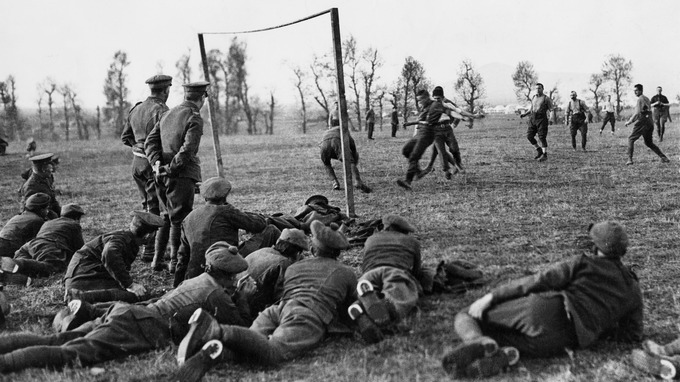 After having buried their dead British and Germans converted from soldiers into … football players. 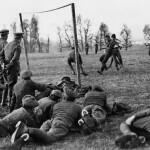 its not known how many participants played from each side, how much was the score (rumors say that the Germans won 3-2) and what ball they played with. None of these matters, however, in front of the humanity exhibited by the soldiers in the midst of the First World War. 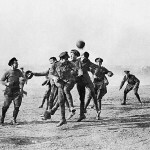 The truce lasted more than 24 hours, with opponents within the pitch resuming to be enemies in the trenches. 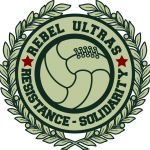 You see, this rebellion did not sit welll with the high military echelons of the British and Germans, who even threatened with executions of soldiers, if this friendly climate remained at the Front. 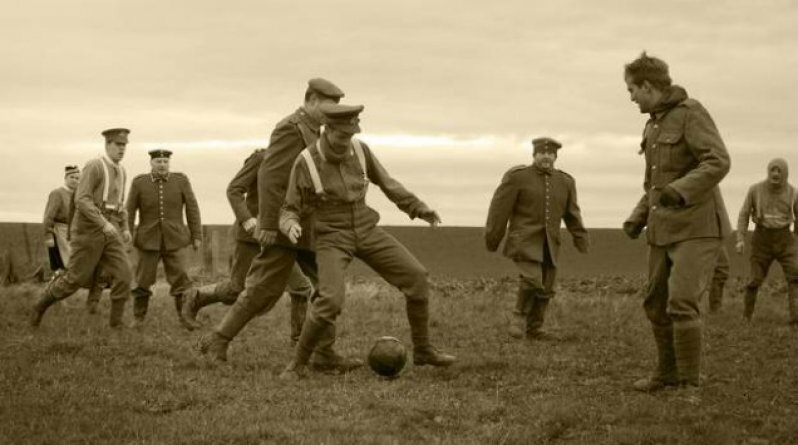 The war lasted four more years, with a tragic death toll of millions of people, but this football match went down in history for its humanity, and years later has inspired dozens of artists who remember the song in their work. Previous: Happy First Birthday !